Disclosure: This post brought to you by Beneful. When you hang your stockings by the mantle with care, do you also hang a stocking for your dog? We do! Our dog is part of the family, so he gets his very own stocking next to the kids. And Santa fills his stocking up on Christmas Eve! The first year our kids requested a stocking for the dog, I was a bit clueless as to what to fill it with! What kind of gift do you get a dog? What will they really enjoy? Floppy Toys – We try to stay away from stuffed toys with filling, as the filling ends up everywhere. Floppy toys are often just skins of stuffed animals with water bottles or squeakers stuffed inside. They are always a hit with my pup! Candy Canes – Did you know they make raw hide candy canes? Well they do. Large ones for big dogs, small ones for tiny dogs. We hang them over the side of the stocking as a decoration! Fancy Collar – Each and every year on Christmas, our dog gets a new collar. It’s kind of become a tradition! After a year of use he needs a new one, so it’s perfect for the stocking! 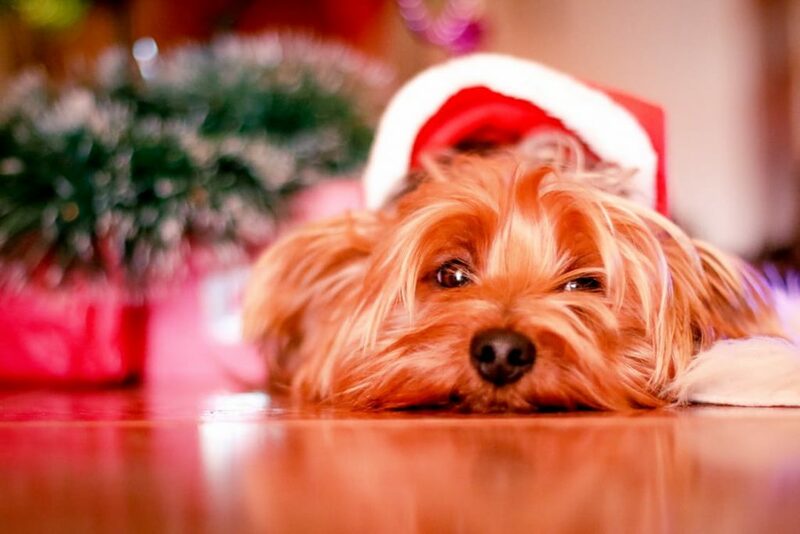 Dog Food – Do you know how hard it is to get a dog interested in a stocking? We stick a handful of dog food at the bottom of our dogs stockings and they go bonkers till they reach it! Since Beneful’s new beef and chicken dry dog food recipes now have real beef or chicken as the #1 ingredient – we will be using that this year! Balls – A good old tennis ball is a must have in your dogs stocking. Some pet stores even have scented varieties in flavors like peanut butter and bacon! Bubbles – I had no idea they made bubbles for dogs, but they do! Bubbles provide hours of entertainment for you and your dog. Your dog gets to play with them, and you get to laugh at him trying to catch them. Nail Clippers – Every stocking needs something practical in it. Stuff a good quality pair of nail clippers in to help keep them groomed. Need more ideas? What does your dog love? What do they enjoy playing with? What do they need? Dog’s stockings don’t need to be fancy or expensive! They are just happy to be included when gifts are opened on Christmas morning! These are great dog gifts. We buy for our basset hound every year. It’s so much fun. We always include our dog in holiday celebrations. He loves his special treats too!